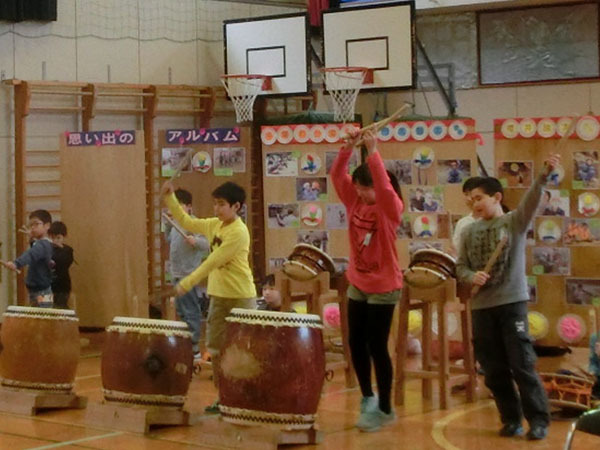 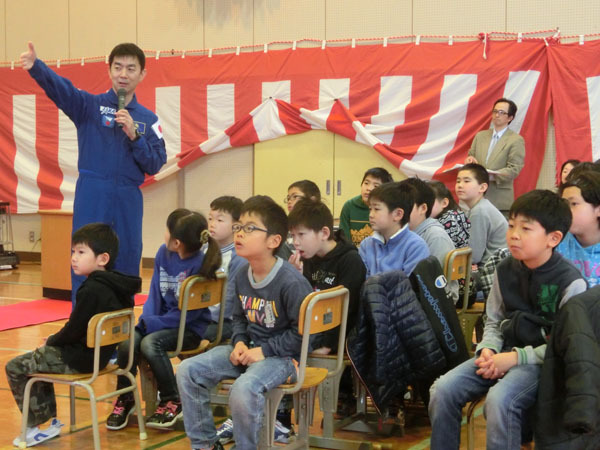 2016 March 14, five years passed from the Great East Japan Earthquake, along with the JAXA Astronaut Kimiya Yui, we visited the Miyato elementary and Naruse Ohka elementary and Nobiru Elementary School in Miyagi Prefecture Higashimatsushima. 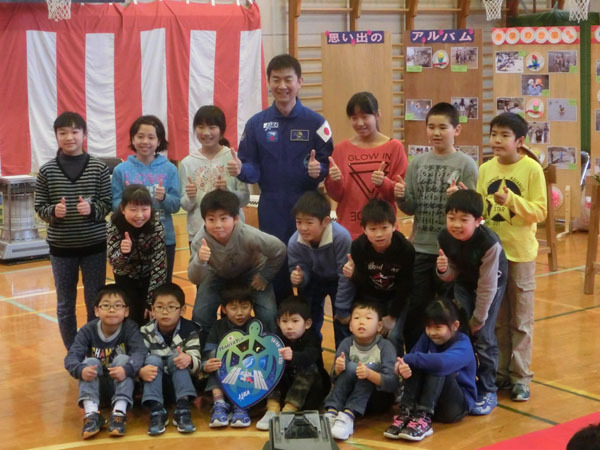 Up to now, we had collaborated with JAXA in various ways as the cheer message to the spirit of “HEARTHEART” from the Astronaut Hoshide and Astronaut Wakata, the visit Iwate and Miyagi Prefecture with Astronaut Wakata in last summer. 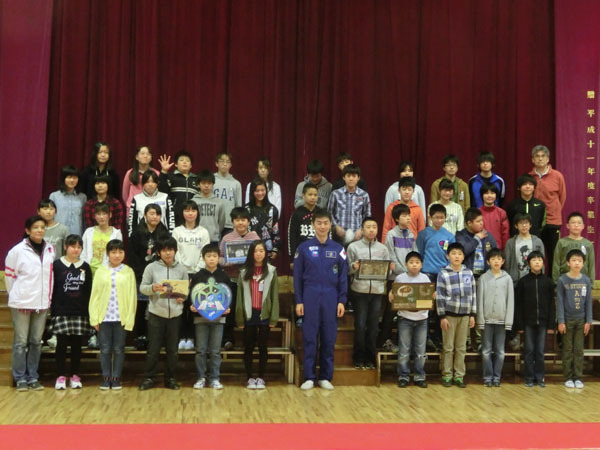 This time as part of the project between the elementary school children in the disaster area and Astronaut Yui, we realized visiting the elementary school. 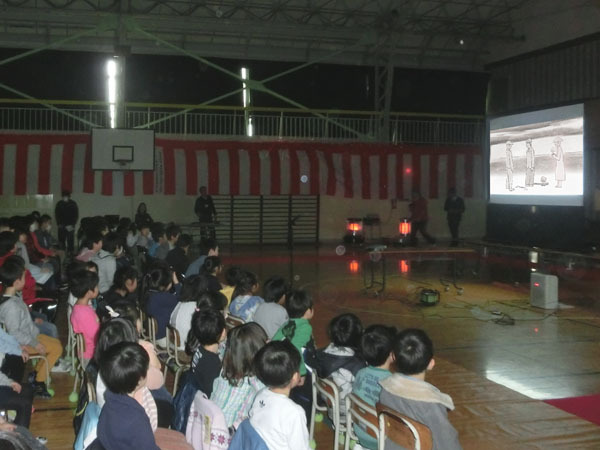 In each school, first, we screened the animation of the cross-wise production. 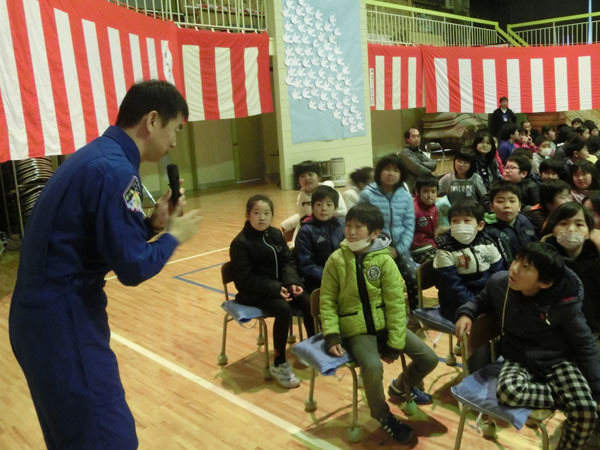 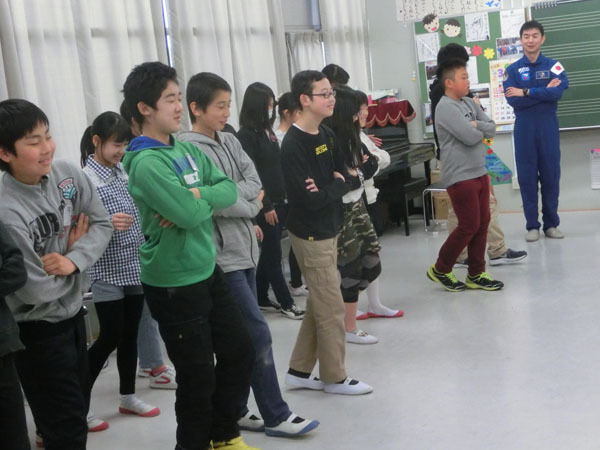 Then, introduce the state of the ISS stay by Astronaut Yui, who convey the splendor of the universe, children had a great time with such quizzes and physical fitness test. 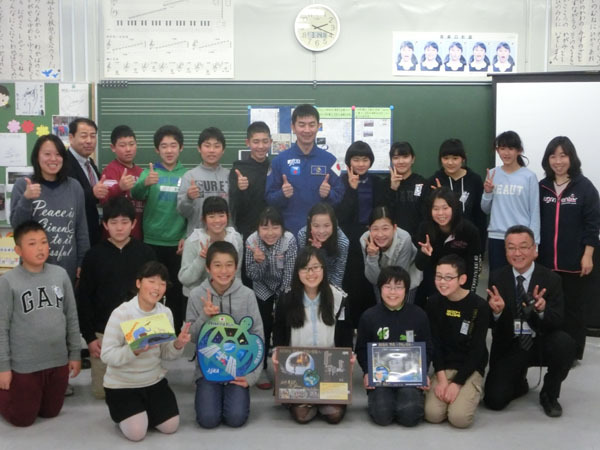 Also we handed our picture book to the children.